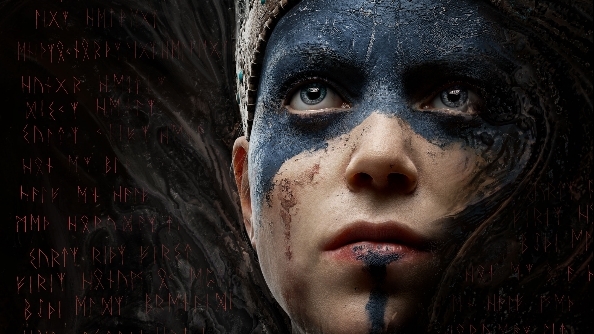 Ninja Theory, developers of upcoming third-person action game Hellblade: Senua’s Sacrifice, have reversed the usual application of mo-cap actors in game development. For more of the games coming up this year check out our upcoming PC games of 2016 collection. Whereas motion-capture would serve as the basis for a character’s entire in-game body language and animation, the DmC team found themselves running short on time with half the work already done, reveals their latest development diary. With only two animators working on both Senua and her attackers, and with a new more fluid combat system in place which called for extra animations, the team called in two stunt actors. The first, Chloe Bruce, fresh from playing the stunt double to Rey actress Daisy Ridley in The Force Awakens would take the role of Senua. Bruce, a trained martial artist and stunt performer, was required to study and emulate the flow of Senua’s existing movements already animated or captured from voice performerMelina Juergens. Cali Nelle, a stunt performer for several blockbuster movies including Kingsman, would then take on the role of every single enemy in the game. It’s a backwards way of doing things, but given looming production deadlines the team were left with little choice. We’ll see if it paid off when the game releases later this year.